In recent times, we have seen this term -design thinking- being heavily talked about. 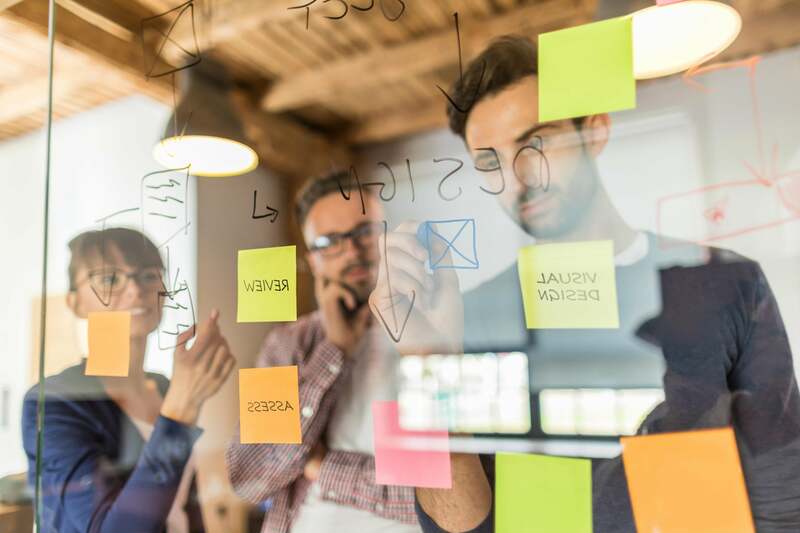 Many advertising agencies, consulting firms, UX studios and even freelance consultants have suddenly found new revenue streams through design thinking workshops. Indeed, there are so many articles out there on how design thinking can be understood and mastered. But do note that I’m not trying to add to those here, nor I am trying to fix them, I am just trying to add some perspective of my own with this piece. The most interesting part of design thinking is that it’s such a great label. It probably is the most attractive way to describe a model for innovation based on human-centered observation and prototyping. But, the concept is not new at all, and I am ready to put my neck on the line for saying it. As a design student and designer for the last 20 years, I have seen it being here all this while. But when compared with the not so amusing labels given to other methodologies, design thinking sounds really exciting. What did we have before? User-centered design -or UCD- sounds like a disease. Agile UX, lean UX and lean startup-these to me sound like diet plans. Service design simply sounds boring. And Industrial Empathy- well, that just doesn’t make sense. But design thinking is now being hyped up as the magic formula for innovation. Often, it is also described as a process in 4-5 steps, mostly with an emphasis on brainstorming, ideation, and tons of multi-color post-it notes. And this is where the problem starts. The most important aspect is to understand that the design thinking framework is not a process that is linear, and it is certainly not some magic formula you can just learn, apply, and then get results from. Any process followed blindly starts to be a problem. In fact, no design process is meant to be linear. It’s meant to be iterative. So, it’s not just about following steps 1, 2, 3, 4, 5, and you’re done. It will be actually more like 1, 3, 4, 2, 5, 1, 4, 5, 5, 4, 2, 1, 5. And again, and again, over and over, until you get an innovative new product that matches the needs and expectations of real-world users, and more often than not, goes beyond that. 1. Be curious and observe If you look deep into design thinking, you will see that it is actually all about being curious. It’s about being a keen observer of things around you. You need to be curious about why things are the way they are, why things don’t work, or why people behave the way they do. Once you nurture the mindset of being curious, you let go of judgment, and seek to better understand everything around you. Being observant is about paying attention to the finer details. It is not just looking at thingslooking underneath the top layer is what you need to learn. Observation and curiosity go hand in hand- ask questions when you start assuming, and seek to understand what you don’t know. Curiosity will ultimately lead you to gain empathy for both the people and systems in place, help you connect with individuals and deepen relationships, and see problems from new perspectives. 2. Create and harbor empathy The next important thing that follows curiosity is empathy. When you are designing products/solutions for someone else, the biggest challenge is to understand the people you are designing for. We often take users for granted, or worse, we tend to assume how they experience the world. We think that they experience it as we doand that is where we go wrong. The key is to get an understanding of user’s mental models, and how the world looks from their perspective. This is where empathy comes in handyto understand how they think, feel, and behave every day, especially in environments and situations that relate to your product or service. How, and most importantly, why do they feel and behave the way they do? Empathy allows you to understand this. So, how do you gain empathy and get those insights? The best way to gain empathy is by engaging directly with the people. Methods such as co-design sessions, ethnography/user research, and interviews can help you uncover how and why they see any value in your product. All this information put in an experience map is the way where you can analyze digital behavior, and it can help you understand how people behave, as well as what they might expect from your product or service. 3. Don’t just optimize- challenge to innovate There is always a first time for everything. It is applicable to all of us. Henry Ford once said, “If I asked what people wanted, they would say faster horses.” Or like Steve Jobs said: “Often people don’t know what they want until you show it to them.” Before the iPhone, we simply did not know how to use a phone without a dial pad. Every day, we make assumptions based on previous experiences, and a lot of those are based on a ton of experiences, are more or less accurate, and also help lower our cognitive load. However, when solving problems in new and innovative ways, a designer must challenge assumptions and constraints that are often unconscious. The assumptions of what you can and cannot do, how it’s done today, unwritten rules you set up for yourself, and so on. Challenging your assumptions helps you challenge the status quo, and ask: “How can this be done better?” What we call a “problem” is often more a symptom of an underlying cause. When we dive in too quickly to fix a symptom, the effect will eventually come back or happen again. Instead, we need to address the cause to create more permanent change. Innovation happens when the inspiration comes from the underlying cause. 4. Consider the big picture Design is about understanding the little details about the users we are designing for; however, the big picture is just as important. It is very easy to get too close, and get caught in the specifics of what we are designing, and much easier to forget why we are designing it the first place. Your users are part of many technological and social systems that already have a significant impact on their belief systems and mental models. So, looking at the bigger picture means you consider how these systems in play will influence the innovation, and how the innovation will influence these systems. We need to keep in mind that customers don’t use your product merely for the sake of using it, but for the value it provides. When you focus on the bigger picture, you focus on the value, you focus on the why- and that will allow you to make better and more relevant decisions around the things you design. Focusing on the value enables you to create something that customers want to pay for, share, and come back for. By keeping the big picture in mind, we can better set the right constraints, tap into the right values with solutions that fit in seamlessly and make an effort not to create new problems, when solving the current. I believe designing anything new starts with a mindset. One we shouldn’t confine to business context, but in everything we do –family, relationships, culture, politics, society - we need to have a positive impact to create change. If more of us got a little better being empathetic and curious, we could also get better at providing value in other people’s lives.